She's the one that started it all - i don't know how many photoshoots we've done together - and it works out pretty well, because she changes her hairstyle/color so often that she always has a totally different look, lol. she's finally back to her "roots" so to speak with her natural haircolor - may be a sign of maturity, eh? Not that she's immature - she's one of my most admired people i've ever known - such an awesome person. do you have a flickr? :) I would love to add you on there! I am also interested in your actions! She is beautiful. Stunning captures, as always. 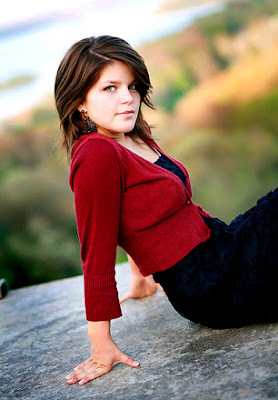 Wow..gorgeous photos and gorgeous girl! I adore the 6th one down.. I confess...I was here earlier..but i just took a quick peek..it was CRAZY at my house..forgive me?? I used to do "photo shoots" with my little sister too. I'd love to see one of the two of you together! She is beautiful, the first and second are my favorites. WOW!! ok I have lurked on your blog awhile now -- THESE ARE AWESOME--- can I just move to wherever you live & hang out with you :) :) hahaha-- seriously these rock --a side from the fact that your lil sis is so PRETTY === esp love #2 & #5 GREAT LIGHT--- my sis is 12 yrs older than myself. Wow, I really really love that third one but they are all amazing beautiful and so is she. p.s. how do I get a site meter on my blog, share the love!!! So pretty, she's stunning. And as always, so is your work! your story of photoshoots soooo makes me wish I had a sister, you lucky girl! Okay, so, yes, your sister really is gorgeous! She's got such a fun, spunky, stylish look to her! I've always loved her hair! LOL! These photos are gorgeous, as usual! You two seem lucky to have each other...sounds like a super fun relationship! Your sis is stunning! I love every one of these. You captured her in such gorgeous light. Love the sun flare and the angle of the last one. Great work! You are so lucky to have such a great subject to work with! I agree with Shelly, I'd love to see some of the two of you together. You look SO much alike and you both dress so cute. These are great. I love her hair dark, it makes her eyes pop. Great shots! I think these are great.. They have a fresh and natural beauty feel to them with the great surroundings. You are always a great source of inspiration. These are fantastic and your sister is gorgeous! Love that second one with the sun coming from behind...D R E A M Y ! 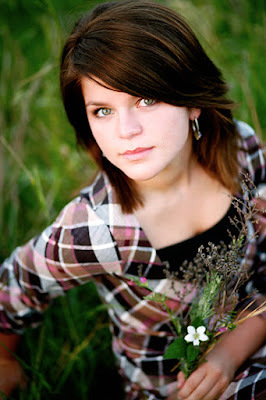 AHHH, our lil' baby's all grown up--and she's GORGEOUS to boot!! Sob, sob, sob, sob, sob (hehe-- family joke)! seriously though, these are fantabulous! #3 & 4 are my personal favs (must admit, I don't like #5 as much)! You should put some family portraits on- hehe. But then again, everyone thinks we're like cool people er somthin; wouldn't want to disappoint-hehe. I love the second one Anna, great backlight, she just stands out so much! She's gorgeous and she looks just like you! Wow, she is so gorgeous! I love the warmth in the second photo! 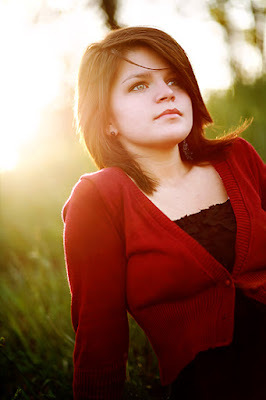 beautiful backlighting and sunflare in these... but an even more beautiful sister!! Love everyhting here... wil have to come back when I have more time to see everything you've been up to. She is beautiful just like you... Awesome pictures!!! ALL of them are absolutely gorgeous. I'm a huge fan!! I'm in Tx and not sure exactly where you are, but I have lots of relatives in the Mountain Home area. You are so talented! You've always been artistic. I remember that from when we were little girls! And she is so beautiful! What eyes!! Wow. Your family is just one beautiful girl after another! I'm a proud cousin. I'm blown away by your talent, Anna. Its incredible. 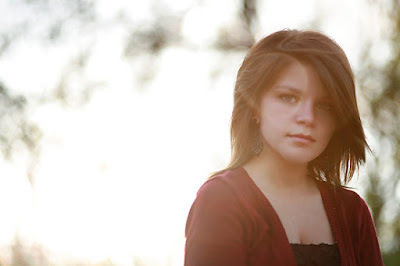 MY MOST FAVORITE baby sister, senior pictures, and photoshoot to date!!! WOW...can I just say, "breath taking!" Megan, you look so beatiful, you havce grown into a stunning young woman :) I love you and can't wait to get you out here closer to me. 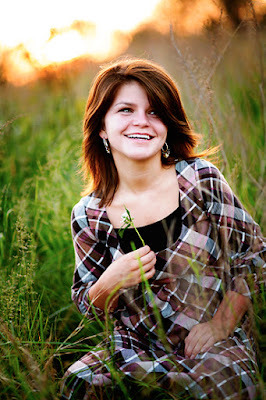 Anna...who would have thought you would be the one to take Meg's senior pictures???? Go figure. All that early practice paid off! He He. We had some good times as kids! You are still my hero. i know her !! ..and those backdrops.